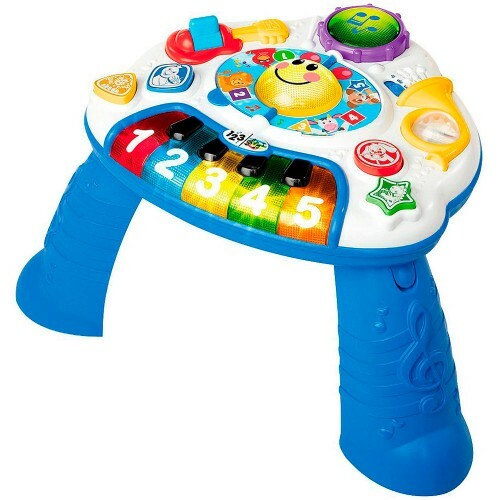 This multi-activity music table from Baby Einstein brings amazing light and sound effects, superb educational play value, cognitive and manipulative activities, and ability to grow with your baby! 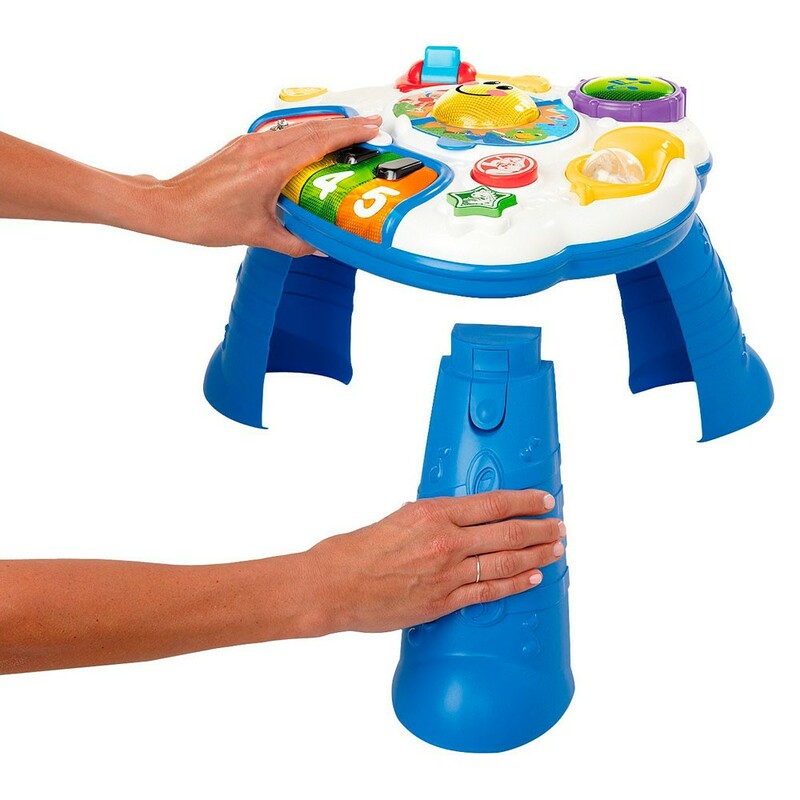 The world of music opens up before your baby's eyes with this endlessly entertaining activity table. 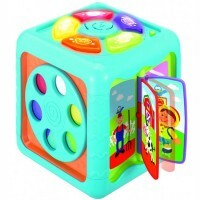 Baby Einstein Discovering Music Activity Table is a great activity center to play at home, waiting room, or daycare playroom. 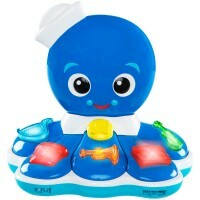 It starts with a real, working piano-style keyboard for baby's musical experimentation. Flip the book's page, and the piano's tune changes to classical melodies. 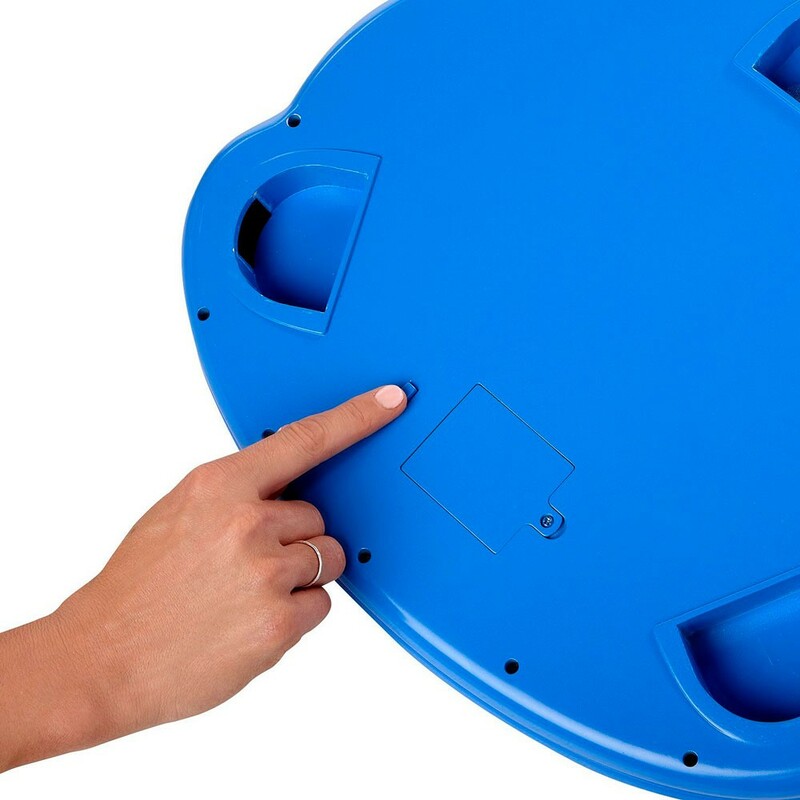 There's a multi-sound drum pad that can count from one to five in English, French or Spanish. 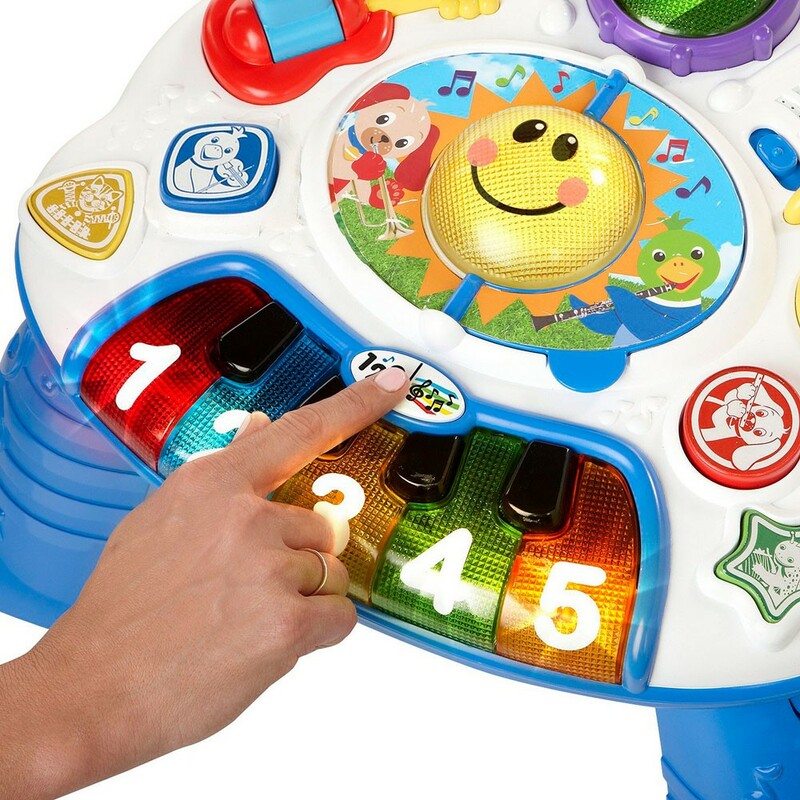 The guitar plays different melodies and activates lights when your baby strums. 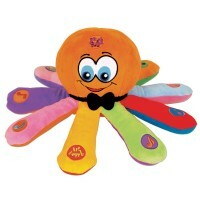 The shape buttons feature images of animals and musical instruments. 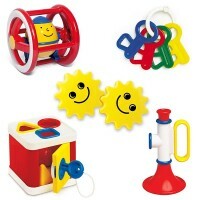 A cute French horn with spinner ball activates French horn sounds. The table grows with baby – great for floor play without the legs for younger babies and when baby is ready, attach the legs for stand and play discovery. 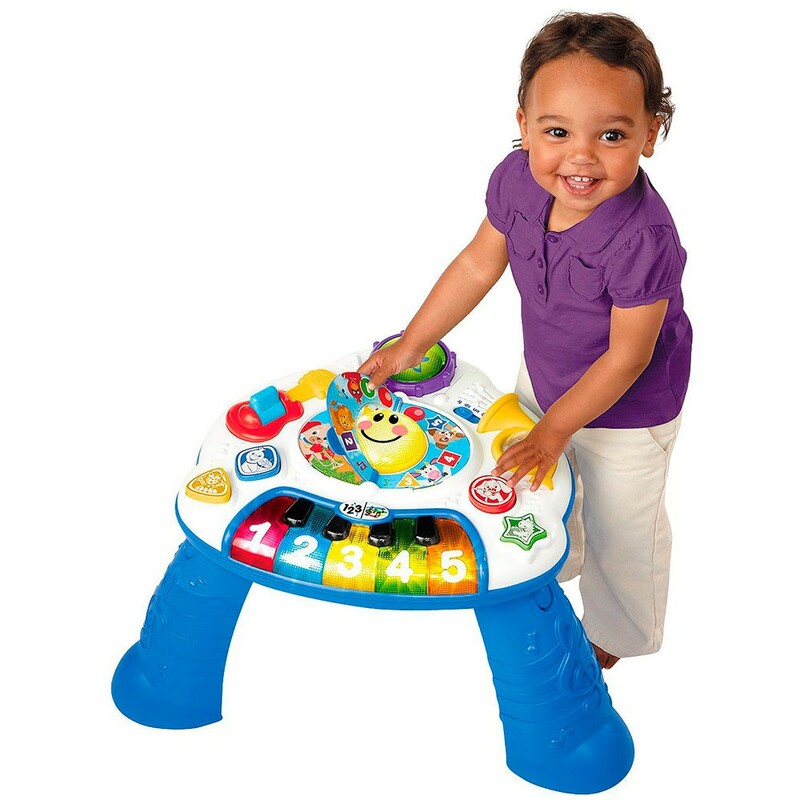 This Educational Toys Planet's baby activity table features multiple modes and hours of musical discoveries. With classical melodies, lights, drums, language discovery and more, this Baby Einstein bestseller is sure to become baby's new favorite. 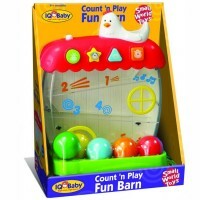 The baby activity table grows with your child! Baby can start out when he's sitting up, by playing on the floor. 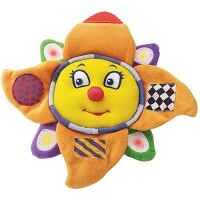 Later, add the legs, and baby will enjoy standing up to play. 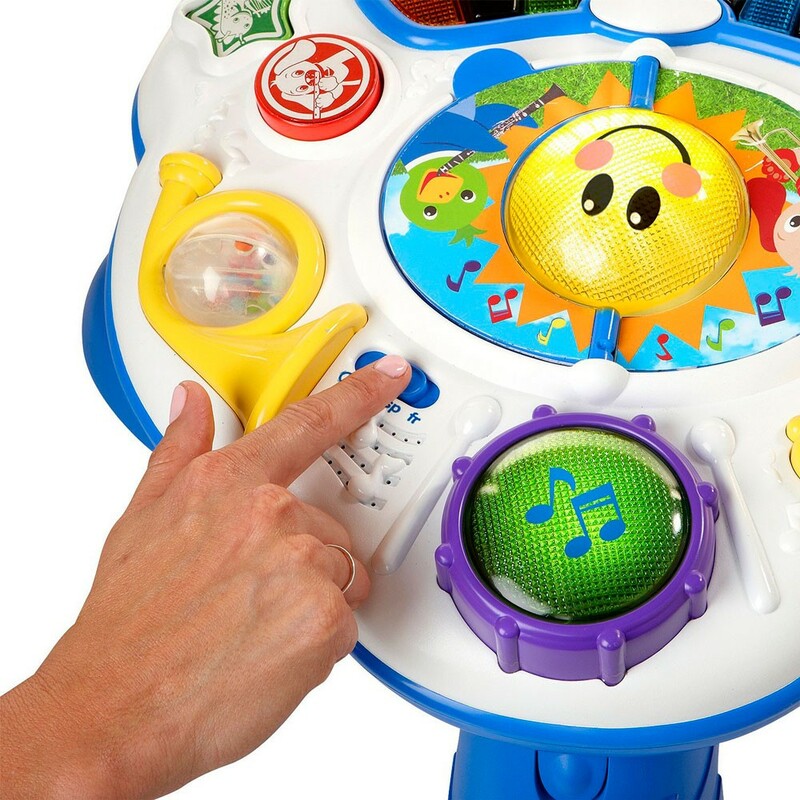 The drum rewards baby with lights and drumming sound effects and counts in three languages. 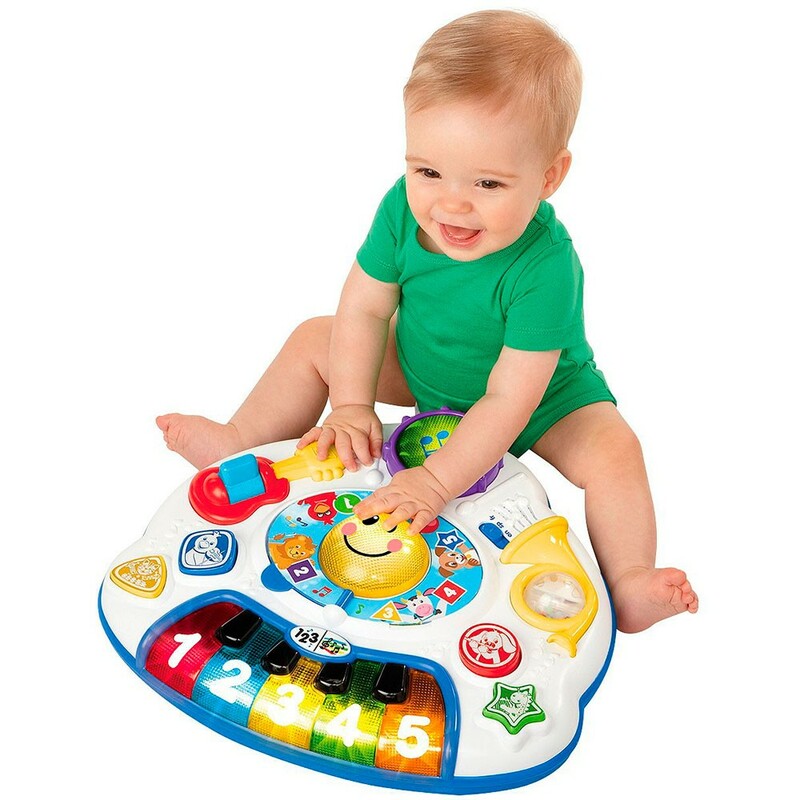 Along with classical melodies and piano sounds, the keyboard introduces baby to colors and numbers in English, French and Spanish. 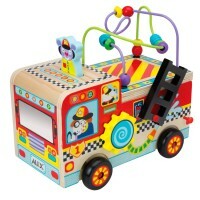 The flip book features real-life imagery and allows baby to toggle from music discovery to language discovery. 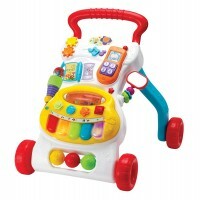 The music activity center is perfect for pulling up when your baby is ready to stand. Simply add the legs to encourage baby to use new standing skills. 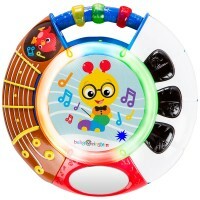 The Baby Einstein's table has 5 classical melodies, plus real sounds featuring guitar, piano, drum and french horn. Easy Assembly. No tools required. 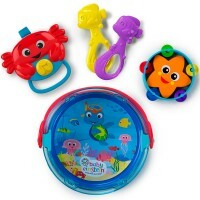 Dimensions of package 2.17" x 6.1" x 8.82"
Write your own review of Baby Einstein Discovering Music Activity Table.